Leading homebuilder, Taylor Wimpey Yorkshire, has continued its relationship with Rothwell Cricket Club for a third consecutive season. 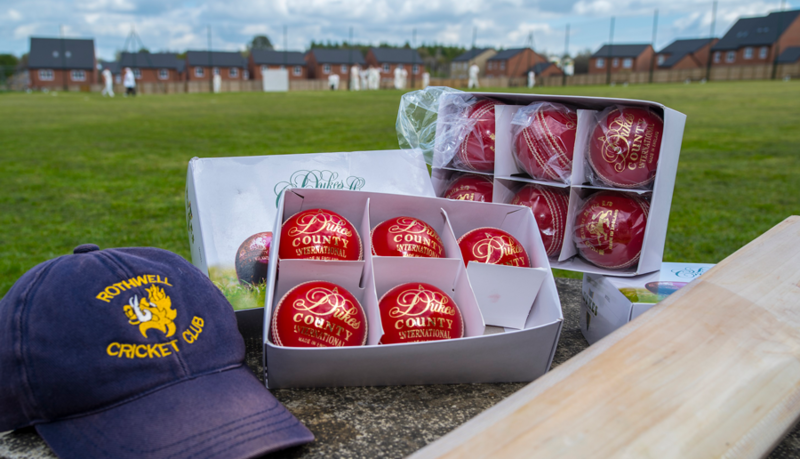 The club, which plays next door to Taylor Wimpey’s Royds Lane Mount development, in Rothwell, received £500 to purchase new cricket balls for the upcoming season. Rothwell Cricket Club is formed of members from Rothwell and the surrounding villages, with two senior teams in the Pontefract and District Cricket League, and two junior U13 and U9 teams in the Pontefract and District Junior League. Anne Bagshaw, sales and marketing director for Taylor Wimpey Yorkshire, comments: “Rothwell Cricket Club plays next to our Royds Lane Mount development, providing our residents with a lovely opportunity to get involved with a new sport, so we are very happy to offer it our support. Brian concludes: “Since building work began at Royds Lane Mount we have maintained a close relationship with Taylor Wimpey, which we hope to continue into the future. For more information about the Royds Lane Mount development, a choice of two-bedroom apartments, and three to five bedroom homes in the tranquil village of Rothwell, visit www.taylorwimpey.co.uk, call the team on 01833 600 370 or pay a visit to the sales information centre, open Thursday – Monday.